Can you do independent research without being independent? The European Commission is evaluating how the rules on net neutrality have been implemented across Europe. These rules are designed to protect the rights of internet users. To our surprise, the evaluation is carried out by a law firm that frequently represents the big telecom providers that oppose net neutrality. Does that make sense? The net neutrality rules are the rules that ensure that users, and not the provider, are free to decide what services to use online. These are the rules designed to make sure that “access to the internet” continues to mean “access to the entire internet”. The evaluation is vitally important, because many providers throughout Europe are starting to offer subscriptions where the traffic of certain services receives preferential treatment. The study on which the evaluation will rely on has been awarded to the law firm Bird & Bird, in consortium with the research and consultancy company Ecorys. In EU Member States like the Netherlands, Bird & Bird represents most major telecom operators on matters related to the telecommunications regulatory framework, including net neutrality. For example, Bird & Bird represents T-Mobile in the pending court case EDRi member Bits of Freedom has initiated against the decision of the Dutch Regulatory Authority ACM not to take action against T-Mobile’s zero-rating offer. 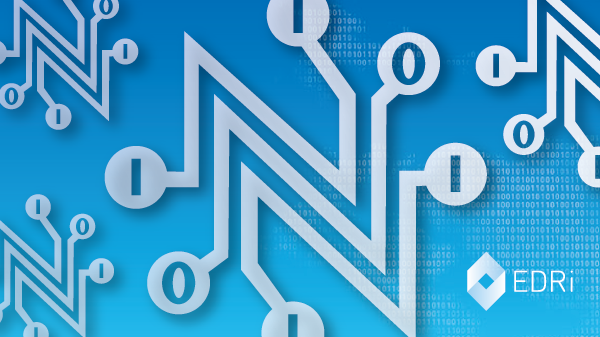 This court case revolves around the practice of zero-rating and the interpretation of the net neutrality rules that are also the subject of the study. Although there is no reason to doubt the legal expertise and experience of Bird & Bird, one could and should have concerns with awarding this particular study to this law firm. Given the fact that this firm represents telecom operators in conflicts surrounding this legislation, there are reasonable questions to be raised about its independence and impartiality in conducting the study. It raises questions about the validity of the results and could be damaging to the credibility of, and the confidence in, the evaluation of the net neutrality provisions by the European Commission and the resulting measures taken by the European Commission. A number of European organisations defending users and consumers have asked the European Commission to provide a written confirmation of the impartiality of this study. The confirmation should include a list of all measures taken by the European Commission and/or Bird & Bird to ensure the independence and impartiality of the evaluators conducting the study and the quality of the report. Particularly in light of these problems, it is vital that the Commission presents a balanced report based on the findings of Bird & Bird. This article was originally published by EDRi member Bits of Freedom. It is available here. A version in Dutch is available here.